Step 1: Choose your beads. 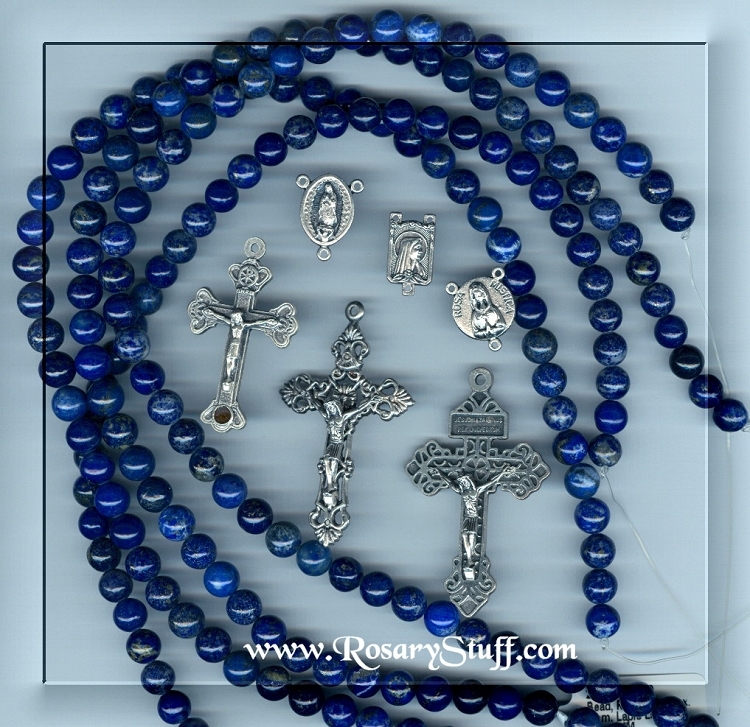 These 8mm Lapis Lazuli STONE beads always make a beautiful rosary. These c grade stone beads vary in color (medium blues) and have some white and pyrite (gold) mixed in. Would you like to use a different bead for the Paters? Click here to see what's available.